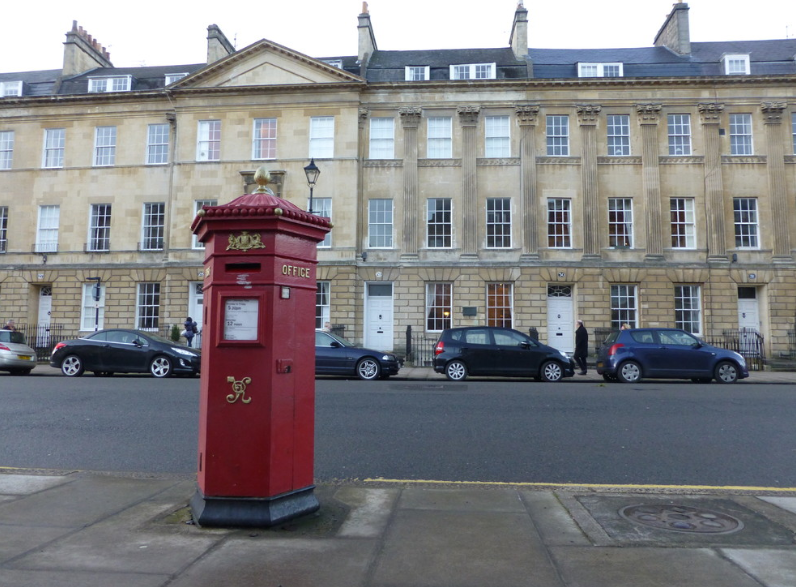 Two original Victorian postboxes still stand in Pulteney Street. The ‘Penfold Hexagonal’ is still in daily use and has been for over a century. The pattern was discontinued because letters got stuck in the corners! They’re also a reminder that world’s first stamped letter was posted in Bath in 1840. The Bath Postal Museum is located in Broad St.